This lavishly illustrated book narrates also the overwhelming and growing influence of the saxophone in entirely different styles of music such as classic, military and jazz. Born 1814 in Dinant (Belgium) and deceased 1894 in Paris, Adolphe Sax is recognized as being one of the greatest inventors of the 19th century. He is also one of the most revolutionary instrument makers in the history of music. He improved to the point of perfection most instruments of his era, and invented many others, mainly the saxophones. His life reads like a novel. Starting from nothing, and flirting with poverty, Sax rapidly attains fame and regularly associates with the famous composers of the romantic era including Liszt. Rossini, Berlioz and Meyerbeer extol the genius of the prophet who had been awaited to fulfill the dream of an orchestral revolution. With the same enthusiasm Napoléon III embraces his reform of military bands as well as his instruments, immediately following with the fanfares and civil orchestras. 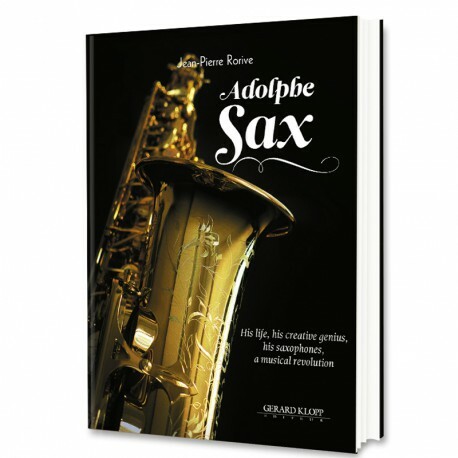 In addition, this richly illustrated work evokes the impressive authority and impact of the saxophone in musical styles as different as classic, military or jazz.